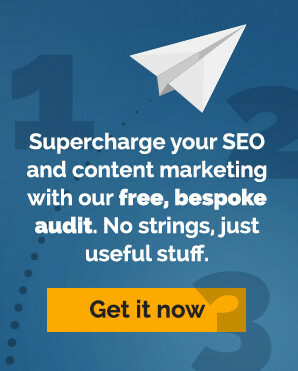 Do you read many copywriting or internet marketing sites like this? If you spend much time at all taking in the thoughts, experiences and advice of professional copywriters then it’s likely that you’ll keep coming across the same names. You’ll see names like David Ogilvy, Joseph Sugarman, Robert Bly, Drayton Bird, John Caples, Claude Hopkins, Victor Schwab and others; all held in the highest regard by pro copywriters and marketers. These ‘copywriting greats’ represent the very best in advertising and sales copy writing. Despite their differences as individuals and as writers, many of these hero writers share consistent traits. In the list of names above for example there are in fact two notable common factors. Do you know them? Can you guess them? Did they all work for the same agency at one time you may ask? Well no, they didn’t. Is it that they are they all American? No they’re not, Ogilvy’s British (Scottish as he’s keen on telling us in Confessions of an Advertising Man), Hopkins had a Scottish mother and Bird is originally from Liverpool. Well here’s the first. All of them; each and every one of them, forged their reputations as great copywriters before the advent of the internet and SEO copywriting. When these guys were working their marketing magic through magazines, catalogues, newspaper adds and direct mail, today’s web enabled sales opportunities simply didn’t exist. No fancy new media. Just old school copywriting and copywriting greatness that sold billions of dollars worth of products. Copy based on hard won lessons and expertly applied techniques…and here’s the second point. Copywriting based on continual and continued testing. They loved to test the effectiveness of their writing. How else could they improve results if they didn’t know which copy worked and which didn’t? It’s the test of a great copywriter. Hopkins, Caples and Ogilvy in particular were absolutely fanatical about testing. And if testing to see which copywriting techniques worked for them then surely it should work for mere mortals like us. I’ve been revisiting John (“They Laughed When I Sat Down at the Piano. But When I Started to play!) Caple’s, Tested Advertising Methods – 277 pages of copywriting dynamite. Essential for anyone serious about their writing. In the meantime, maybe you have a favourite king of copywriting who deserves a mention. Who inspires you? Who do you rate? Why do you rate them?